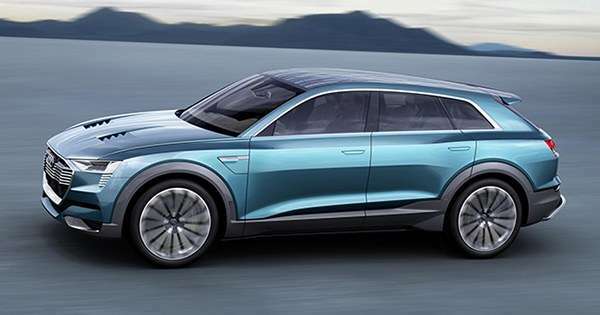 Most of you guys have probably noticed that more and more vehicles are coming in with digital instead of analog instrument clusters. Sometimes these designs are hit and miss. While we do love seeing that simple red needle rock back and forth during spirited driving, even we have to admit some newer gauges look really, really sick. 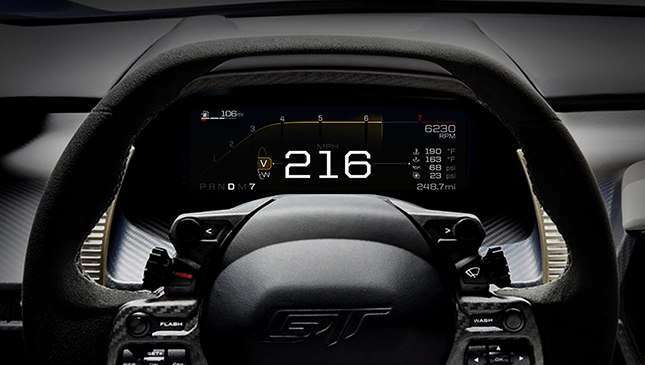 Case in point: the all-new Ford GT and its all-digital instrument display. The 10-inch screen—with its race-inspired graphics and text—looks like it came straight out of a video game. Ford says building the vehicle presented it with a unique opportunity to reimagine the instrument cluster. And boy oh boy, did it ever. 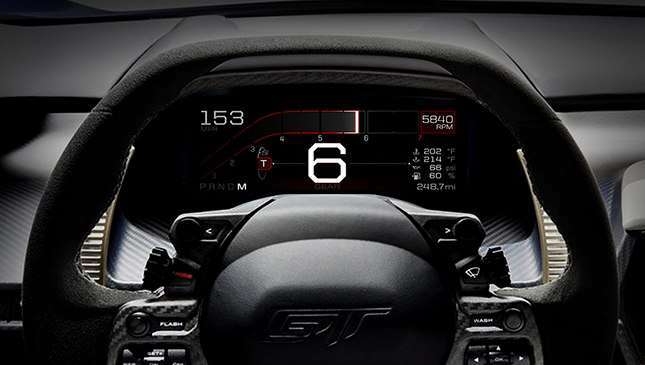 The company points out that utmost driver focus and attention are vital when driving a high-performance vehicle like the GT. 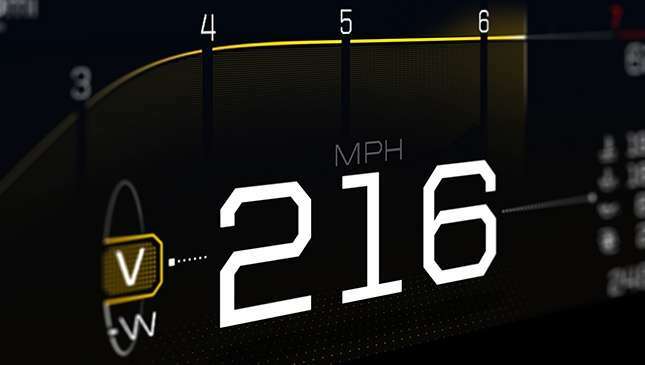 With that in mind, the display was built around the data it displays and changes its look depending on which of the car's five driving modes is selected. This allows drivers to make quick decisions behind the wheel in as efficient a manner as possible, Ford says. To be honest, it seems like there's a bit too much going on in the video above. It does look immensely cool though. That futuristic styling is courtesy of Pekton and Conjure—two of the best companies in the display industry. Ford GT engineering supervisor Nick Terzes says his team spent a ton of time getting the display just right, saying: "The result is simple, but achieving simple perfectly can be a challenge." Joey Hand, who won the 24 Hours of Le Mans driving a Ford GT, seems to think they did a great job: "This is exactly what I want to see when I want to see it," he said. 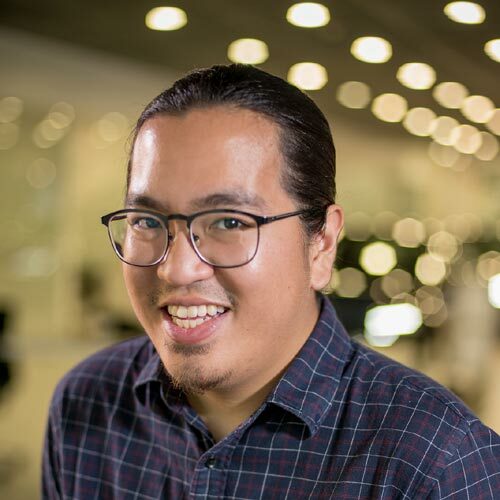 Ford says that it will be rolling out full digital displays to other Ford vehicles going forward. Do you guys prefer analog gauges or digital ones?